← Success and Failure: What Are You Afraid Of? I’m in spring cleaning mode, and I’ve been organizing my home, my computer, my online activity and now, recently, my car. I use my car a lot more often in the spring and summer, as we go camping, on road trips, and just start to explore the area in which we live. It’s often too cold to do anything on my car in the winter because nobody wants to clean their car in the rain, so over the course of the season, things really add up. If you put winter tires on your car for the colder weather, now is the time to get them swapped out for your all-seasons or all-terrain tires. Driving winter tires on bare roads is bad for the tires, and can even throw your car off a bit. If you don’t live in an area that gets winter-like weather, you will likely have your regular tires on. Now is the time to rotate them to ensure that they wear evenly. While you are at it, align your steering; if you are bringing your car into a shop to do these maintenance things, then often the auto shops will include this in a tire rotation package. Bringing your car into a detailing shop to get detailed can cost hundreds of dollars, so I would recommend doing some self detailing. During the winter months, there tends to be a lot of dirt, mud and grime brought into your car by your shoes or heavier clothing. Vacuum, clean, and de-clutter your car for the summer months. It will stay clean for longer and you’ll appreciate driving in a nice, clean and dust free car. It’s difficult to get the car as clean as the detailers are able to get it, but it’s possible; look up some tutorials on Pinterest or Youtube to make your task easier and get some helpful tips and tricks. Over the course of the winter and fall, fluids can be depleted; antifreeze windshield washer fluid, oil, and others can be used more often during winter driving. Checking your fluids can be done DIY style, and you usually don’t have to bring the car into the shop to have it done. If you aren’t sure what you are looking for, find some tutorials online and check your fluids yourself to save some money. One time, I was on a road trip as a teenager, driving one of my dad’s vehicles, when I found myself without brakes. Luckily, the emergency brake was working, so I could get the car to a shop, where the mechanic found that the van had no brake fluid and the brake pads were almost bald. It took a couple of hours to fix before we were back on the road, but you don’t want to be caught on the side of the road without brakes, especially on a road trip if there is no mechanic for miles. If you hear your brakes squeaking or find you have to press harder on the brake peddle to slow your car, you may need to get your brakes done. Take a look to be safe. I don’t mind a few scratches on my car; it’s a few years old, and it’s a car, after all, but if this is something that bothers you, spring is the best season to have them fixed. During the winter, sand, salt and debris on the road can scratch your car. Driving in a clean car is a great feeling, and knowing that you have done the necessary maintenance on your car can really help you save money. Interesting tips. It must be helpful to everyone who has spring and summer seasons in their places. Frankly speaking, I’ve never been this particular about my car. I never take so much of care except of cleaning it twice a month and that’s it. 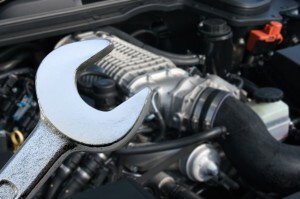 Periodically I service the car but never check the details you mentioned in the blog. That helped a lot and I’ll definitely make it sure to check all the five points mentioned in the blog. That’s great. Thanks that helped. Your car is an expensive purchase, so it’s important to take care of it. Good tips and a good reminder to me personally. I always forget to rotate my tires and it costs me over the long-term. I also need to get my brakes changed within the next month. Doing all of these things will help you save money in the long term! All great tips. Often changing oil after a long winter makes sense. And recharging the A/C, as it will be hot and you will not be able to get your car into the shop. I’ve never had to re-charge the A/C before, but I’ll have to look into it. Thanks for the tip! Haha. This reminds me of my greedy self. Going crazy about every spec on my car. I am glad I am not the only one who does this. After a long winter, I am surprised to see more scratches than dings or dents. Mostly from the ice chipper when it snows on top of my car. Great reminder and laugh. Yeah, scratches become prevalent with time. I guess they are inevitable. My dad just yelled at me about getting new tires or at least rotating the ones I have for spring and summer. I should probably take his advice since he’s a car restorer! Yes, I would say his advice would be pretty valuable then, haha! That’s a good idea; do you have a chipped windshield?